HMC offers a wide variety of modular systems; but did you know that you could have your new preassembled building in as little as one week? The plant stocks several sizes of exterior aluminum buildings that can ship just a few days after receipt of order. 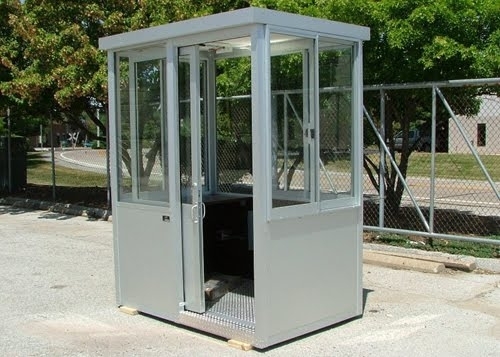 Sizes available are 4'x4', 4'x6' and 6x8' structures. 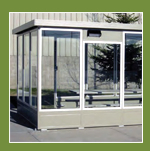 Standard units have clear tempered safety glass windows around the entire perimeter and a 3 inch overhang roof. Electrical components include (1) light fixture, (1) 115V outlet and (1) 230V outlet, all factory wired to a 100 amp load center. HVAC units can be added, extending the lead-time only a few extra days. You simply off-load the building, anchor it to a level concrete slab and make the electrical connection. As simple as that - you're in a new building! Contact HMC today to find out more about quick ship modular buildings! Or click HERE to request more info!